We loved watching Corien Staels on Dragon's Den on Sunday 14 January 2018. In a nail biting pitch to the Dragons, Corien brought in help from a paralympian to help promote her WheelAIR design. 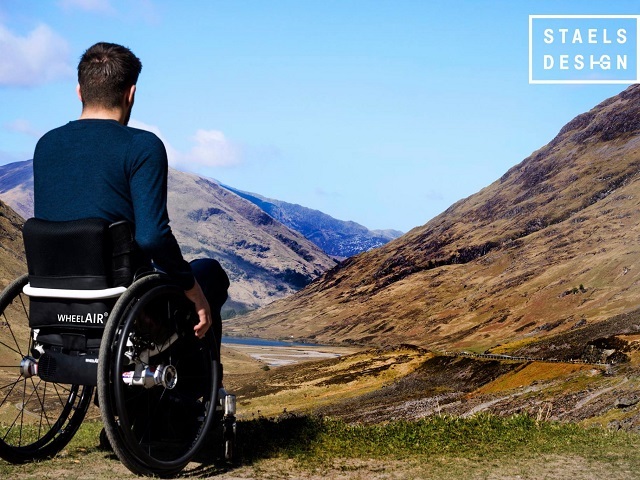 On the WheelAIR website they descibe the product as "a battery-powered airflow back-rest cushion carefully designed with the input of Paralympic athletes to be cooling and more supportive. Through a combination of function and effortlessly stylish (and silent) design, users have experienced a drop in both back and core temperature, heavily reducing effects of overheating". You can watch the full epsidoe on BBC iplayer here.